An article about Priyanka Chopra and Nick Jonas published online by The Cut earlier this week has been removed by the publication's editors after many readers deemed it racist and sexist. The Cut, a style and culture section of New York Magazine, apologized for its "poor judgment" in publishing the piece. The article entitled "Is Priyanka Chopra and Nick Jonas's Love For Real?" was posted on Tuesday – the same day Chopra and Jonas shared the official photos from their wedding on their Instagram accounts. The actress and pop singer wed at a palace in Jodhpur, India, on Saturday. One of the photos the couple shared from their Indian wedding ceremony showed Chopra in a deep red beaded lehenga; she captioned the photo, "And forever starts now..." while Jonas wrote that it was "happiest day" of his life. The Cut writer, Mariah Smith, however, suggested those sentiments were phony. Smith referred to Chopra as a "global scam artist," and argued that the elaborate wedding was so over-the-top that the love between the bride and groom must have been a stunt as well. Chopra was a renowned Bollywood actress before landing a starring role on ABC's "Quantico" in 2015. Jonas launched a successful solo music career after his boy-band days with his brothers. The couples' family members came to their defense after The Cut article questioned the validity of their love. "This is disgusting," Jonas' brother, Joe, wrote on Twitter. "@TheCut should be ashamed to have someone write such evil words. What Nick & Pri have is Beautiful Love. Thank u, Next." Joe Jonas's fiancée, "Game of Thrones" actress Sophie Turner, also condemned the article about her soon-to-be brother- and sister-in-law. "This is wildly inappropriate and totally disgusting. Very disappointed that The Cut would give anyone a platform to spew such bulls****," Turner wrote on Twitter. A recent Vogue interview revealed that the newlyweds first connected in 2016, when Jonas direct-messaged Chopra on Instagram after he texted their mutual friend with the message: "Priyanka. Is. Wow." Referencing this interview, Smith questioned why Jonas, who was 24 at the time, would be interested in settling down with Chopra, who was 34. While Smith wrote Jonas has a history of dating older women, she appeared to find this relationship with this older woman hard to believe. Many readers found that Smith was making a sexist and ageist comment by comparing the couples' ages. In the article, Smith also appeared to make an argument that there were holes in the couple's love story. She pointed out that after their engagement, the couple participated in what Smith referred to "SponCon nonsense" – they were attending public, sponsored events by Tiffany, Amazon and Google. "Priyanka and Nick are finding ways for their 'love' make them money," Smith alleged. One Twitter critic said Smith's article "reeked of post-colonial racism," questioning why Smith found it wrong that an Indian woman was making money. "When privileged white men make money and enjoy it, it is normal. But when a brown woman does the same thing, she is painted as a 'scam artist'," Kathleen Davis wrote. India Today published a response to The Cut article on Wednesday. In the piece titled "Priyanka Chopra is a global scam artist? No, you are racist," writer Ananya Bhattacharya called Smith's article "racist, lookist, ageist and over all else – a downright vile and personal attack on Priyanka Chopra." Last night, the Cut published a post about Nick Jonas and Priyanka Chopra's relationship that shouldn't have gone up. We've received dozens of messages from readers expressing their anger. We want you to know that we hear you and we're sorry. The whole piece missed the mark. There is no good explanation for this other than human error and poor judgement. This was a mistake, and we apologize to our readers and to Priyanka and Nick. Despite the fact that the original article was deleted, readers still found ways to access an archived version on the web, and it continues to spread and spark discussion on social media. "Priyanka Chopra is an inspiration to lot of girls not just in India but globally who think beyond beauty, barriers and race," one fan wrote on Twitter. "She is a bigger celebrity than Nick, pls check out Vogue and Forbes top 100 powerful women." Another Twitter user pointed out the number of people – particularly people of color – coming together to stand up for Chopra. 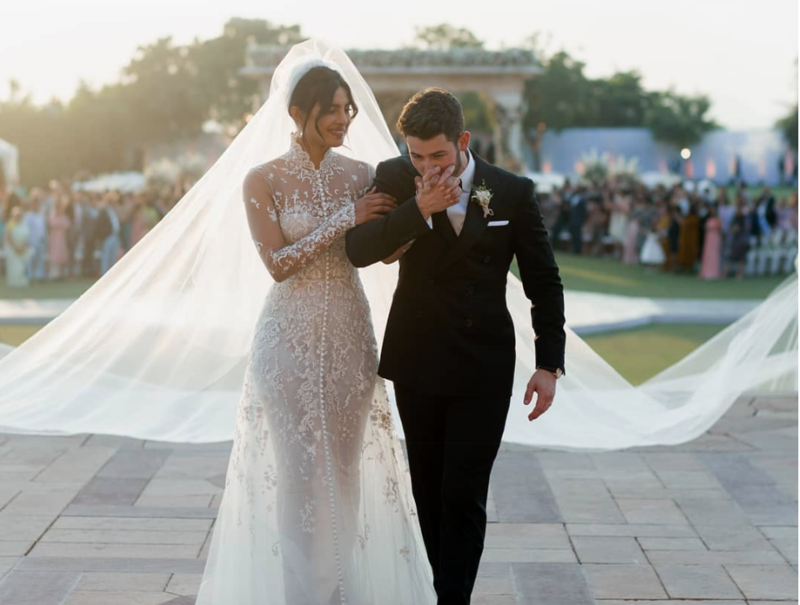 "I think my favorite bit about that horrific The Cut article about Priyanka Chopra marrying Nick Jonas was the entirety of brown people gathering to defend our girl," she wrote. I think my favorite bit about that horrific The Cut article about Priyanka Chopra marrying Nick Jonas was the entirety of brown people gathering to defend our girl.